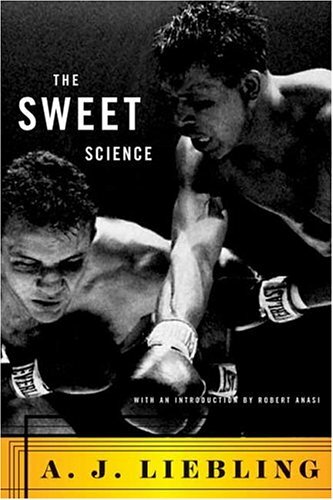 As a fan of the written word and the great boxing writers of the past and present, though I seem to work hard at preventing their influence appearing in my own ramblings, I was a belated recipient of AJ Liebling’s SweetScience collection of boxing reports. A minstrel like voyage around the likes of Archie Moore, Marciano and Ray Robinson and the less famous too, the book is a wonderfully ornate, yet incisive perspective on boxing, its characters and the curious world of life as a boxing writer. Fabulously descriptive and littered with words even the boxing intellectual would need the support of a handy thesaurus to fathom the book successfully combines the best of literary prose with an approach that excludes few. I thoroughly enjoyed the book and would heartily recommend it to fans of classic boxing writing. It certainly represented a welcome departure to the premature biographiesof contemporary fighters like Amir Khan and Ricky Hatton that were doing the rounds last Christmas. This was my second completion since the New Year, Jonathan Rendall’s ‘This Bloody Mary’ proving the most tempting of the pile of new acquisitions before Liebling. Look around on the net, a re-print of this 1951 release is peanuts in paperback. Save the Last Dance for Me: Kostya Please?